Could eating breakfast could lower your heart disease risk? You may have heard that breakfast is the most important meal of the day. However, is this really true or just an old wives’ tale? Recent research does show that a high-quality breakfast can improve health-related quality of life. However along with this finding, a new study shows that eating this meal could lower your heart disease risk. 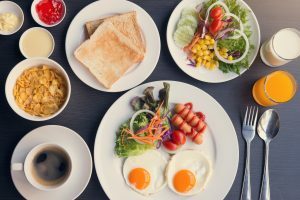 Let’s learn a little more about the importance of your morning meal for overall health and how you can make it healthier. In a study of adolescents, those who consumed a poor quality breakfast had higher levels of stress and depression than those who skipped or had a high quality morning meal. Those who consumed a high quality breakfast had the lowest levels of stress and depression. Therefore, it’s not just about whether you eat breakfast or not, but if you eat a high quality meal. Another study looked more closely at the quality of breakfast that can bring about health benefits. This study found that a high-quality morning meal will be balanced with protein, fiber, and vitamins and nutrients like vitamins A, C, and D as well as calcium and iron. Not only may breakfast improve quality of life, but it could also extend your life. This is because a recent study found that eating breakfast could lower your risk of heart disease. This study looked at a sample of health data from over 6000 adults aged 40 to 75 years old over 17 to 23 years. Study results show that skipping your morning meal was linked with an increased risk of death from heart disease. As previous studies have found though, this doesn’t mean that eating doughnuts and pastries with sugary coffee drinks each morning is healthy. Therefore, to make the most of your morning meal and have it benefit health, make it balanced. Breakfast is not just good for heart health and mental health, but can also lower risk of chronic disease like diabetes. Because of its many potential health benefits, be sure to make your morning meal its best by using the following tips. Start with a healthy protein. 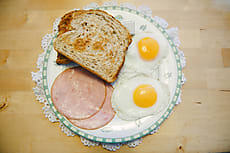 Cook up a few eggs, turkey bacon, and/or low sodium Canadian bacon for heart healthy proteins. And if you follow a meatless diet, then enjoy scrambled soft tofu with or without some black beans. Another meatless breakfast option is protein-rich Greek yogurt or oatmeal with chopped walnuts. Add in gut-friendly fiber. Once you’ve chosen your protein base, add in some antioxidant and fiber-rich foods like fruits and vegetables. Throw some spinach in your omelette or top your oatmeal or yogurt with berries or sliced apples. Other ideas include blending your yogurt with fruit for a drinkable balanced breakfast or sprinkling some chia seeds on your oatmeal, yogurt, or avocado toast. Don’t forget healthy fats. Sliced avocado with eggs or spread on toast, or using olive oil to cook your eggs can add healthy fats to your morning meal. Other healthy fats you can add include nuts, seeds, and salmon (like smoked salmon on toast or a whole grain bagel). Limit sugar intake. It can be tempting to enjoy a doughnut on the way to work or from the break room. Also, it can be just as easy to grab a whipped cream topped coffee drink to start your day. However, a sugary start can lead to unhealthy eating habits throughout the day. Therefore, stick to low sugar options. If you crave sugar in the morning, try instead a Greek yogurt with a drizzle of honey or a delicious low sugar protein shake flavored with peanut butter, vanilla, or cocoa to help satisfy your sweet tooth. Don’t drink your calories. Instead of sugary coffee drinks, stick to sugar-free options like coffee with sugar-free creamer and/or sweetener. 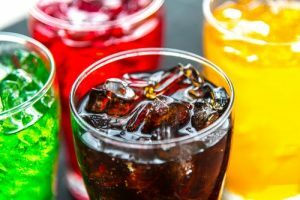 Other low-calorie breakfast drinks include hot or iced tea with low-calorie sweetener, lemon or cucumber-infused water, unsweetened almond milk, or just plain water. And just to be sure you consume your daily dose of nutrients, a supplement for heart health may also help. Circova by Vita Sciences contains natural ingredients like niacin, L-arginine, and hawthorne to help improve blood flow and blood pressure. Improvements like these can help lower heart health risk, along with a healthy diet of course. Ferrer-Cascales R, Sánchez-SanSegundo M, Ruiz-Robledillo N, Albaladejo-Blázquez N, Laguna-Pérez A, Zaragoza-Martí A. (August 2018) “Eat or Skip Breakfast? The Important Role of Breakfast Quality for Health-Related Quality of Life, Stress and Depression in Spanish Adolescents.” Int J Environ Res Public Health. 15(8):1781. Gibney MJ, Barr SI, Bellisle F, Drewnowski A, Fagt S, Livingstone B, Masset G, Varela Moreiras G, Moreno LA, Smith J, Vieux F, Thielecke F, Hopkins S. (May 2018) “Breakfast in Human Nutrition: The International Breakfast Research Initiative.” Nutrients. 10(5):559. Rong, S., et al. (April 2019) “Association of Skipping Breakfast With Cardiovascular and All-Cause Mortality.” Journal of the American College of Cardiology, 73 (16) 2025-2032. When you first wake up in the money, it may be easy to grab something quick like a donut, pastry, or a quick bowl of cereal. However, what you choose to eat for breakfast could very well set the tone for what you eat the rest of the day. In fact, research shows that if you reduce carbohydrate intake at breakfast, then you could help control your blood glucose levels. Let’s learn a little more about this study, about blood glucose levels, as well as ways you can reduce carbs at your next morning meal. A recent study looked at the impact of a high-fat, low carbohydrate breakfast meal on blood glucose levels over 24 hours. Study results show that post-meal, or postprandial, hyperglycemia (high blood glucose levels) were reduced with this diet as compared to standard diet (55% calories from carbohydrate, 30% calories from fat, 15% calorie from protein). Also, this higher fat, lower carbohydrate breakfast helped keep blood glucose levels more stable throughout the day than the standard diet. The following low to no-carb foods can be used to build a delicious low-carb breakfast meal. Use this reference as a guide to other low-carb produce that can be added to your low carb meal. Besides making changes in your diet, read below for ways you can manage your blood glucose levels. Stay active: Every step counts when it comes to your health. Therefore, be sure to stay active every day to help manage your blood glucose levels and keep your heart healthy. Staying active can help control blood glucose levels by making insulin more sensitive. Exercise will also help you to manage your weight and use the blood glucose you have for energy. Manage stress: Stress can release hormones in the body that can raise blood glucose levels. Therefore, be sure to find ways to manage your stress levels. Walking, talking to a counselor, relaxation breathing, and yoga are some ways you can manage stress. Drink plenty of water each day: The body is mostly made up of water, so its important for many processes in the body. When it comes to blood glucose, water can prevent dehydration and in turn help the body remove extra sugars from the body through your urine. Try to drink at least 8 cups of water or low to no calorie fluids per day. You may need more fluid each day depending on your height, weight, and activity level. Check your blood glucose often: If you have diabetes, then you should check your blood glucose levels often. This will help you track your progress and find areas of your diet or medication routine that may need to be tweaked. This will help you manage blood glucose levels better. Be sure to to visit your doctor at least once or twice a year to have labs checked and adjust your meds if needed. Take a blood glucose control supplement: If you’re already eating a healthy diet and exercising, then the next step in lowering your blood glucose levels would be to add a blood glucose-lowering supplement if needed. Glucarex by Vita Sciences is an example of a blood glucose support supplement that could help you. Glucarex contains ingredients like chromium, alpha-lipoic acid, and cinnamon to naturally support healthy weight loss, metabolism, and blood glucose levels. 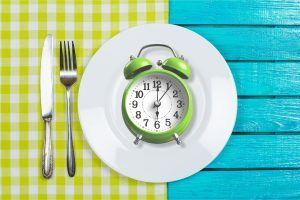 Chang, C.R., Francois, M.E., and Little, J.P. (April 2019) “Restricting carbohydrates at breakfast is sufficient to reduce 24-hour exposure to postprandial hyperglycemia and improve glycemic variability.” The American Journal of Clinical Nutrition. Fletcher, J. (last reviewed January 26, 2018 by Maria Prelipcean, M.D.) “How can you lower your blood sugar levels?” Medical News Today. Could your yo-yo diet lifestyle be hurting your heart? 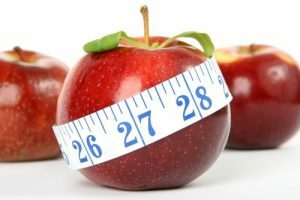 With new year’s resolutions perhaps on their second wind, and summer approaching, you may be considering a new diet. Maybe this is a reboot of the diet you started at the beginning of January. Or maybe you saw a new fad diet online that promises quick results just in time for bathing suit season. But before you fall into this trap, you should know that current research shows that yo-yo dieting could hurt your heart. Yo-yo dieting is a pattern of losing weight and gaining it back repeatedly. There is inconclusive evidence to show that yo-yo dieting impacts future weight gain and metabolic health. In fact, a 2017 study shows that weight loss efforts, no matter how many times they are repeated, should continue to be encouraged in those who are overweight or obese. However, this does not mean though that you should strive to be a yo-yo dieter. This is because recent research shows that yo-yo dieting could impact heart health. A 2019 study looked at 500 women with an average age of 37 years old. Study results show that women who lost 10 pounds and gained that weight back within a year were more likely to have heart health problems. Also, the more they yo-yo dieted, the more at risk they were for heart disease. Researchers suggest that this may happen because when a person loses weight, they lose some lean muscle mass. And when they gain weight back, they often gain fat in place of this muscle. Over time, this may cause a build-up of fat in the abdomen, which can increase heart health risk. Instead of yo-yo dieting, you can protect your heart by following a heart healthy diet. This means lots of fiber-rich and antioxidant-rich fruits, vegetables, and whole grains like oats, quinoa, nuts, and seeds. 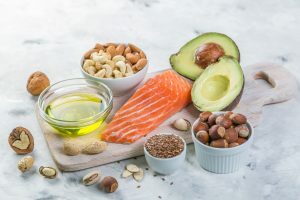 In addition, this means consuming lean protein at meals and snacks, eating plenty of healthy plant-based fats like avocado and olive oil, as well as limiting alcohol intake. Focusing more on consuming a balanced diet that is nutrient-dense is better for your heart than countless cycles of fad diets and weight gain. Besides a heart healthy diet, read below for other things you can do to help your heart. Move more: Exercise is not only good for helping you to manage weight, but is also great for your heart. You should try to move at least 30 minutes a day for most days of the week for the most benefit. This movement should be of moderate intensity. This means that when you move, your breathing quickens, but you’re not out of breath. This includes brisk walking, gardening, or light aerobics for example. Stress less and quit smoking: Stress and smoking are two lifestyle behaviors that can contribute to increased blood pressure. This is because they can constrict blood vessels and make it harder for blood to flow in the body. Therefore, if you smoke, use resources such as those on Smokefree.gov to try to quit. And if you’re stressed, try to talk to someone like a friend, loved one, or counselor. You can also use relaxation breathing, yoga, or meditation to help with stress. Visit your doctor often: It’s important to visit your doctor at least once a year, or more if you have a chronic health condition. This will help you keep track of your numbers like blood pressure, triglycerides, cholesterol, and blood glucose levels. In turn, this can help you catch any heart health problems in the early stages and treat them before they cause serious issues. Add a heart healthy supplement: If you are already following a low stress, smoke-free, heart healthy eating and lifestyle plan, then that’s great. 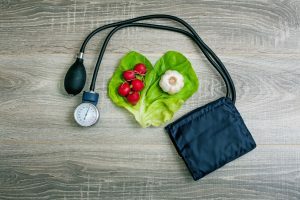 However, if you want to further enhance the benefits of such a lifestyle, you can try a heart healthy supplement like Alestra by Vita Sciences. Alestra contains ingredients like niacin, plant sterols, and garlic to maintain healthy cholesterol levels and promote heart health. Mackie, G.M., Samocha-Bonet, D., and Tam, C.S. (March-April 2017) “Does weight cycling promote obesity and metabolic risk factors? Obesity Research and Clinical Practice, 11(2): 131-139. When you’re planning your healthy diet this year, don’t forget the protein. However, if you’re following a low carbohydrate, paleo, or keto diet this year, be sure to plan your protein in a healthful way. Many people trying to cut carbs often just eat whatever protein they crave. This can sometimes mean lots of burgers, sausage, and bacon. This type of red meat is ok in moderation. But too much red meat can be harmful to heart health. Recent studies show that red meat can release a chemical in the body that can put you at greater risk for heart disease. Red meat is just as it sounds. A protein is considered red meat when it has red-colored flesh. The reddish color comes from the amount of the protein myoglobin found in the meat. This protein is purplish in color and is fixed in the tissue cells. When it is exposed to oxygen, it becomes oxymyoglobin and produces a bright red color. The protein hemoglobin found in small amounts in raw meat can also contribute to some of the red color of red meat. Beef as well as lamb, pork, and veal are red meat animal proteins. Also, any processed products made from such meats count toward your red meat intake. 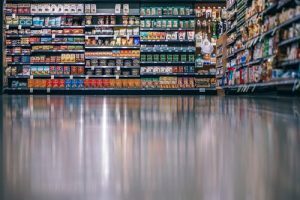 These products can include bacon, sausage, hot dogs, and deli meats like roast beef, salami, and ham. For many years, health experts have been telling us to limit red meat in the diet. Red meat intake can lead to an increase in risk of type 2 diabetes, heart disease, and certain cancers. In fact, a 2017 report shows that the more processed red meat you consume, the greater risk you will be at developing colorectal cancer. A more recent study looked at the effect of red meat intake on the health of healthy adults. For one month, these adults consumed either a diet providing protein from white meat, red meat, or non-meat sources. Those on the red meat diet were provided the equivalent of about eight ounces of red meat each day. 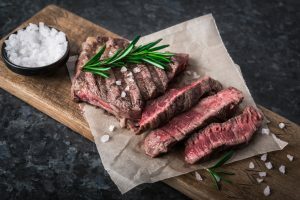 Study results show that after one month, the blood levels of trimethylamine N-oxide (TMAO) in the blood of those on the red meat diet were about three times higher than those on the other diets. 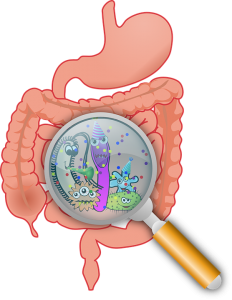 During digestion, TMAO forms in the gut after intake of red meat. Researchers suggest that TMAO may increase heart disease risk. When researchers placed the adults on different levels of saturated fat within the groups, those consuming higher levels of saturated fat had similar TMAO levels. Therefore, this research suggests that saturated fat intake is not linked with the heart disease risk associated with TMAO. When study subjects switched diets, those switched from a red meat diet to another diet were able to lower their TMAO levels after one month. This shows that it is never too late to make small changes to your diet to help improve your health and lower your heart disease risk. Now that you know something that can increase your heart disease risk, let’s talk about how you can lower your risk. Here are few dietary and lifestyle changes you can make today to help lower your heart health risk this new year. Add more antioxidant fruits and vegetables to your diet. Not only will these foods add gut-friendly fiber to your diet, but the antioxidants can help reduce inflammation in your body. When you reduce inflammation, you lower chronic disease risk. So, load up at least half of your meal plates with these fiber-rich foods. Lower alcohol intake and stop smoking. These new year resolutions can also help your heart health. This is because smoking can constrict blood vessels and increase blood pressure. Also, drinking too much alcohol can lead to weight gain, increased blood pressure, and higher levels of blood fats. So try not to drink more than one standard drink a day for women and no more than two a day for men. A standard drink is either 12 ounces beer, 5 ounces wine, or 1.5 ounces of hard liquor. Add a heart health supplement each day. If you are deficient in vitamins and minerals, this can impact overall health. See your doctor on a regular basis to see if you are deficient in anything. If so, you may need to add in a supplement like iron, vitamin B12, or vitamin D to help you feel better. You could also add a heart specific supplement like Alestra by Vita Sciences. Alestra contain ingredients like plant sterols and niacin that help promote healthy cholesterol levels and improved heart health. Move more. This is a no-brainer. If you move more each day, at least thirty minutes a day most days, you can lower your heart disease risk. This thirty minutes can be split into two minute portions throughout the day or all together. It doesn’t matter when it comes to your health. The key is to move so you can strengthen your heart, lower your weight, and improve your overall health. Stress less. It may not seem like a key to weight loss or healthy lifestyle success, but you must manage stress. This is because stress can lead to less energy to exercise, more emotional eating, and higher blood pressure. All of these factors can lead to poor heart health and overall health. So find ways to stress less such as doing yoga, relaxation breathing, meditation, or talking to a counselor weekly.